What Does 1 John 3:3 Mean? Should we not in astonished wonder, deep humility and reverent praise behold the matchless love and compassionate grace that has been poured out by the Father in such generous abundance on us, even making us His children, simply because we have trusted the Lord Jesus as Saviour? Is this not the most wonderful blessing that exhausts our reasoning and passes our finite understanding, that we, who were proud purveyors of sin and hostile haters of God, in the lust of our flesh, should be so treated? Yet we read that when He came to take up His rightful position as King, His own people despised and rejected Him. They treated Him with acute animosity and deep hatred. He was so viciously beaten as to be unrecognisable and then He was cruelly nailed to the tree with your sins and my sins laid upon Him. The world did not know Him then, and the world still does not know that He is God incarnate and He is the only way to the Father, the only truth about God in Whom is life eternal for all who trust in Him. And we, who by rights should have death as our payment for sin, have been given the free gift of salvation in Christ; clothed in His righteousness; promised eternal life in heaven and adopted into God’s own family. 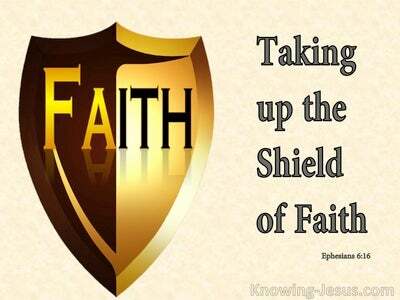 As children of the Father and joint-heirs with Christ we have a hope that is founded and fixed on Jesus Himself. 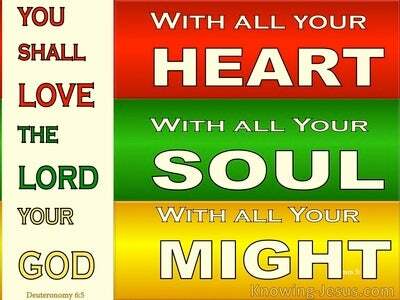 He is the Hope of our calling, for He has clothed us in His own righteousness and secured for us a heavenly inheritance.! What amazing love has been bestowed on us, that we should be called the children of God, and what an amazing hope we have in Christ, for eye has not seen and ear has not heard the wonderful things that God has prepared for those that love Him. He is indeed the hope of our calling and He is our blessed hope, for there is laid up for all His children a heavenly inheritance. And when He returns to take us to be with Himself as He has promised, we shall be like Him, for we shall see Him as He is. Jesus is our blessed hope. 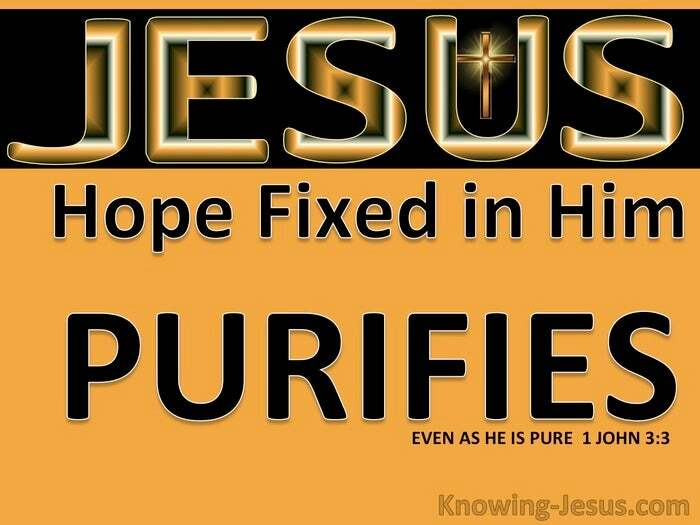 Indeed, He is the hope of all the ends of the earth, but those of us who walk in spirit and truth and have our hope fixed on the Lord Jesus Christ are purified – in the same way that He is purified. Just as he was identified with our sinfulness, so we are identified with His righteousness and His purity. Like the Lord Jesus we too are despised by this pagan world system, and increasingly have become targets of ridicule and ill-treatment, by a world which does not understand what manner of love the Father has towards you and me, who by faith in Christ have become His children and been made joint-heirs with Christ. 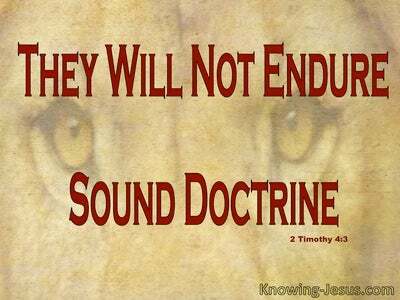 One day Jesus is coming back to take us home, and as sons of God we will be made known to the world. 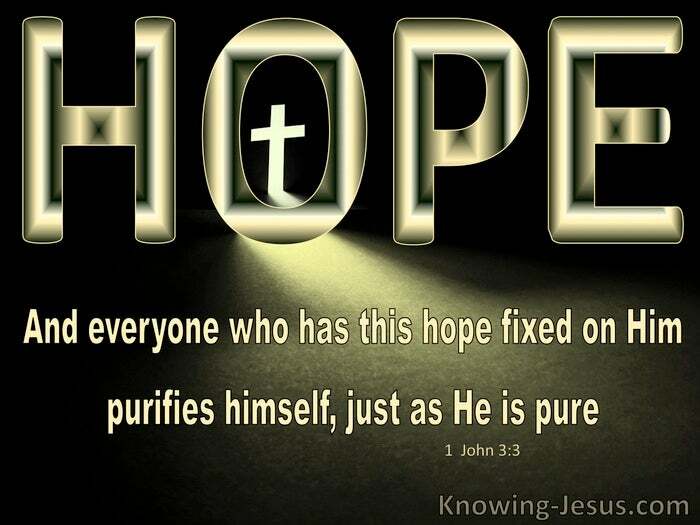 Let us hold to this sure hope that is set before us, looking to Jesus - the Author and Finisher of our faith, knowing that those of us who have our hope fixed on Him purifies ourselves, just as Jesus is pure.